Edgar Raymond Smithberger, 84, of Lower Salem, Ohio, died Monday, April 16, 2018, at his home, surrounded by his loving family. He was born on September 30, 1933 in Lower Salem on the family farm to Alexander J. and Leona Wallace Smithberger. He was a 1951 graduate of Elk Local High School. Edgar served his country in the U.S. Army, based in Germany, from 1954 to 1956. He worked for Marietta Concrete for 33 years, retiring in 1985. 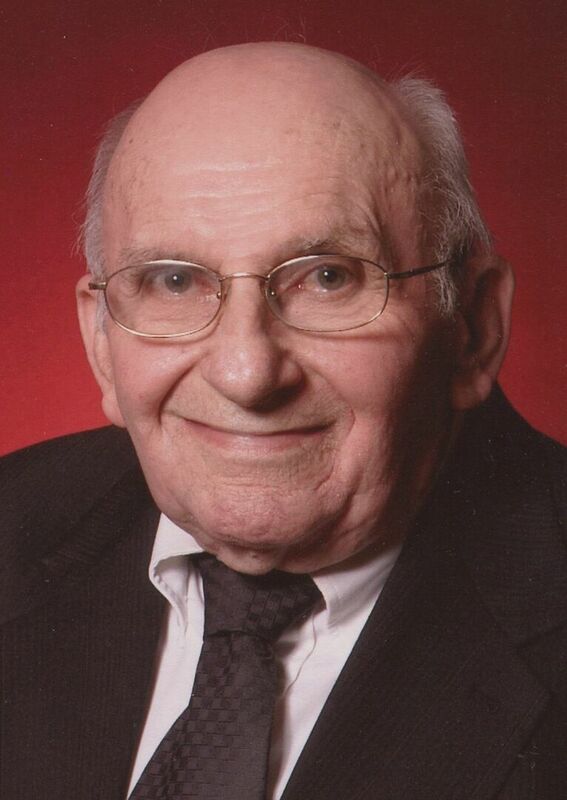 Edgar was a lifelong member of St. Henry's Catholic Church, where he was still very active in the Men's Club, member of the Elk Local School Board and Elk Local Grange. In his spare time, he enjoyed wood working, was an avid basketball fan of Skyvue Golden Hawks, enjoyed attending stock sales and had coached baseball in Harriettsville. He is survived by his wife, Hazel Ann Schafer Smithberger, whom he married on November 22, 1952; four sons, Raymond Smithberger (Connie) of Graysville, Ohio, Jim Smithberger (Lynne) of Lower Salem, John Smithberger of Marietta, Ohio, and Mike Smithberger (Debbie) of Canyon, TX; 11 grandchildren; three step grandchildren; 25 great grandchildren; ten step great grandchildren; many nieces and nephews; and a special family friend, Robin Cook. He was preceded in death by his parents; stepmother who helped raise him, Lucille; grandson, Michael Smithberger, Jr.; and two sisters, Lucille Crum and Mildred Handschumacher. Funeral Liturgy with Mass will be held at 10 a.m. on Friday, April 20, 2018, at St. Henry's Catholic Church in Harriettsville, Ohio, with The Rev. Timothy Shannon celebrating. Burial will follow in the church cemetery with full military honors. Visitation will be at the Marietta Chapel of Cawley & Peoples Funeral Home on Thursday, from 2 to 8 p.m., with a Vigil service at 3:00 p.m. and a Rosary service at 7:30 p.m. The family would like to thank everyone from Harmar Place and Amedisys Hospice for their special care. In lieu of flowers, donations may be made to St. Henry's Catholic Church, 5001 Lowell Hill Road, Lowell, Ohio 45744. To send flowers to the family of Edgar Raymond Smithberger, please visit our Heartfelt Sympathies Store.